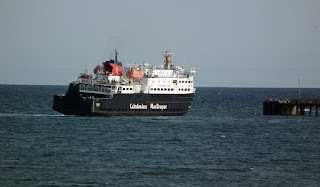 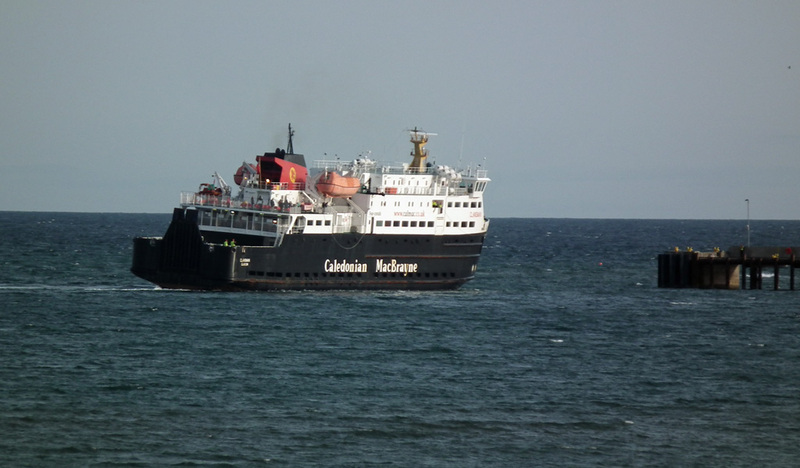 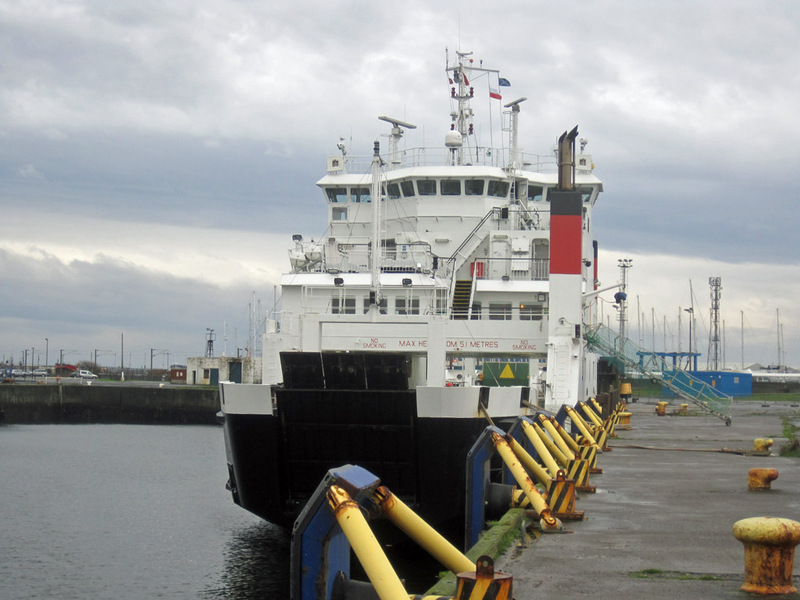 Caledonian Macbrayne's Coruisk, was caught by ClydeNavalGazing correspondent Gordon Law, breaking her journey from Mallaig to Garvel at Ardrossan 23 October 2011. An unusual occurrence! RFA Mounts Bay (L3008) off Gourock 18 September 2011. 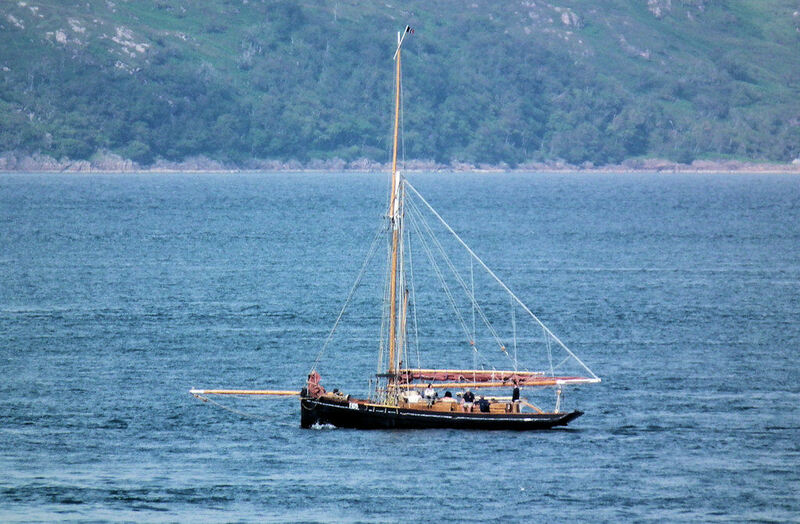 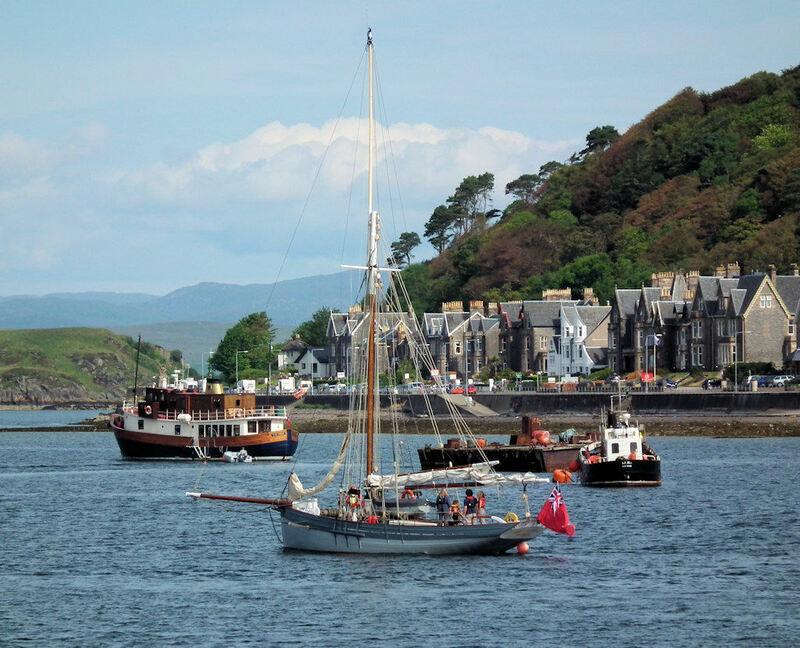 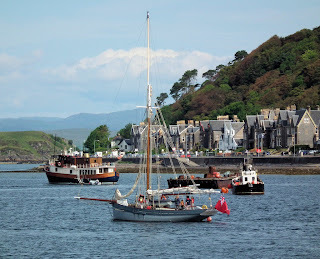 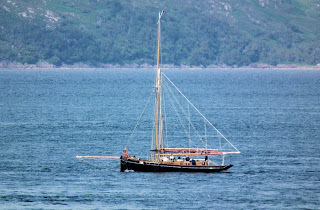 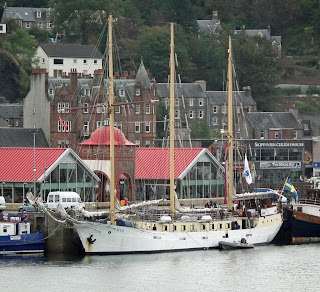 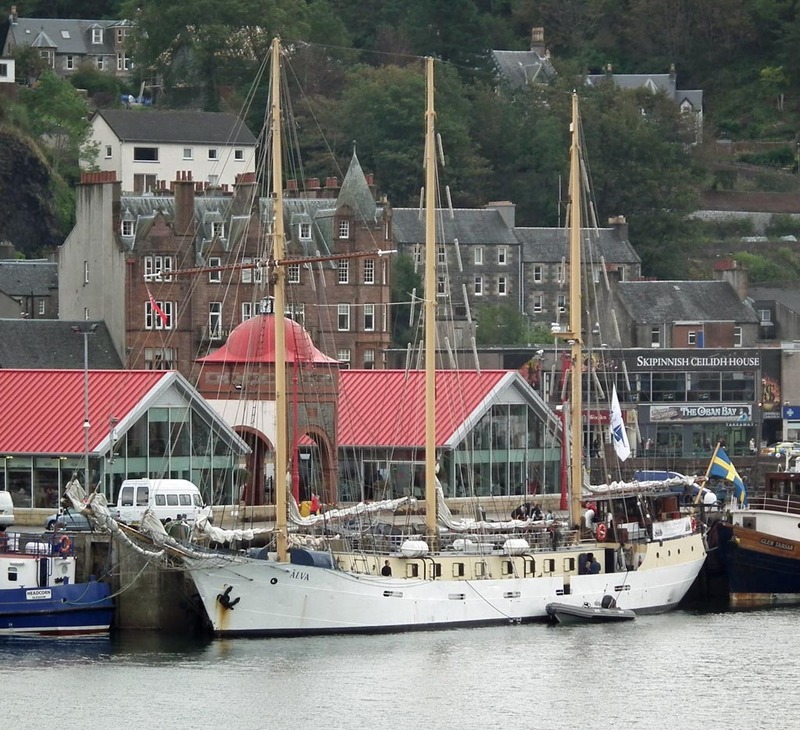 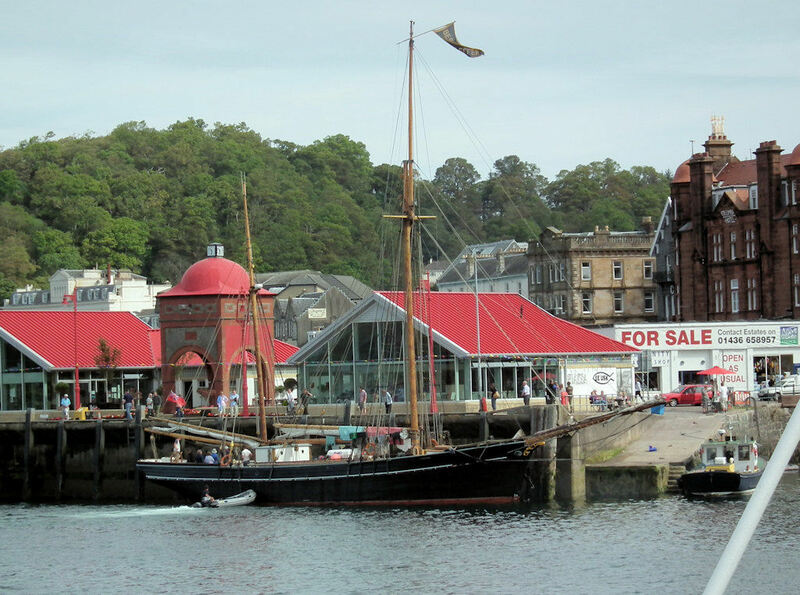 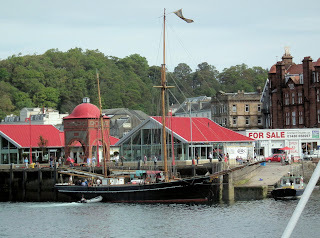 Sailing vessel Alva at Oban's North Pier 16 September 2011. 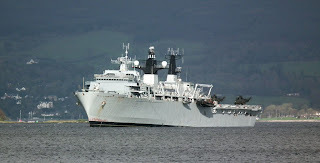 "Albion Class" Landing Platform Dock Ship HMS Albion (L15) off Greenock 16 October 2011. 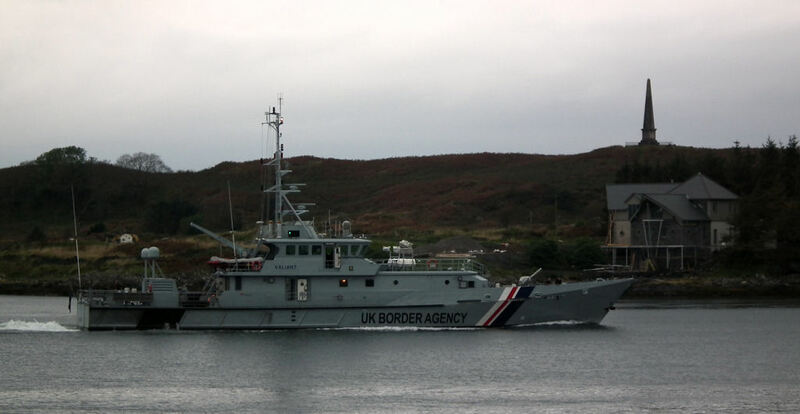 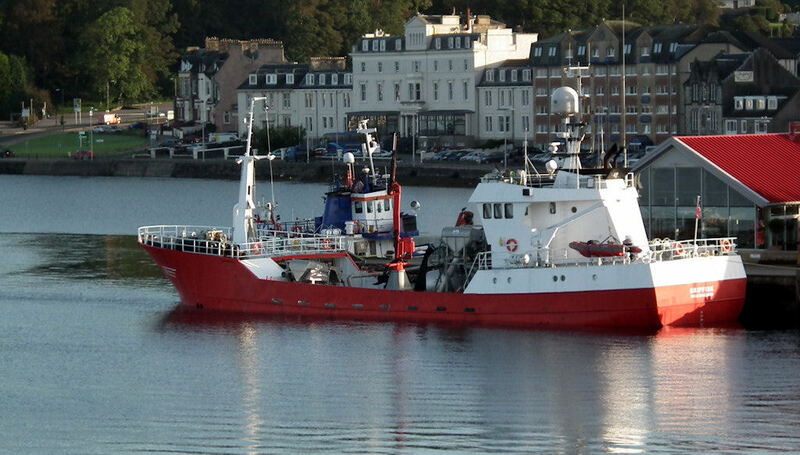 HM Cutter Valiant in Oban Bay 14 October 2011. 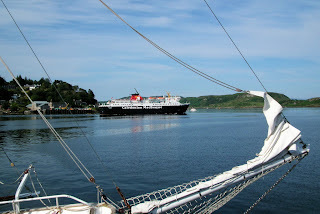 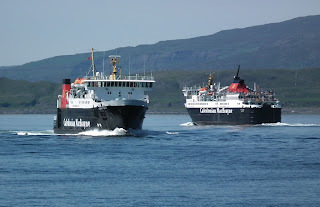 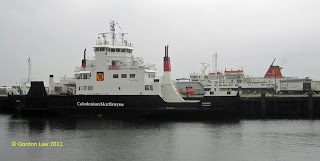 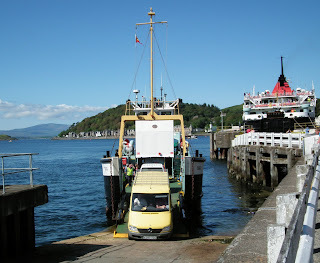 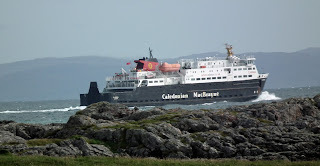 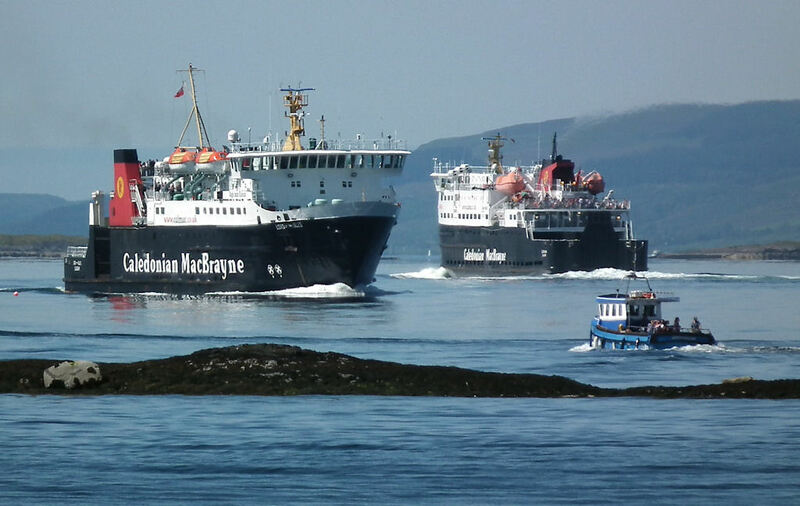 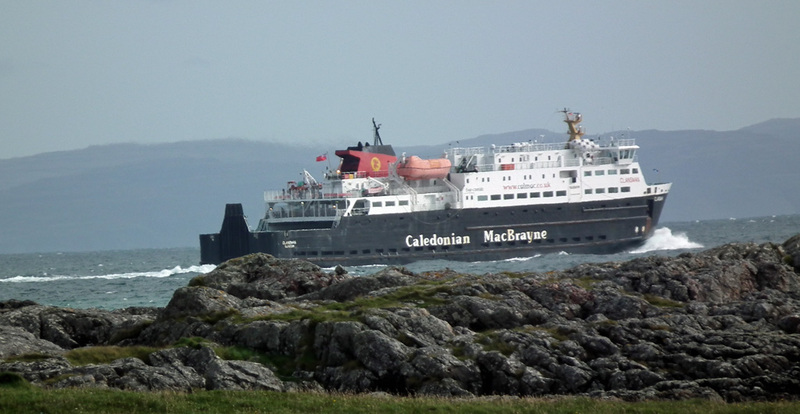 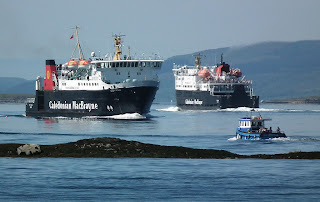 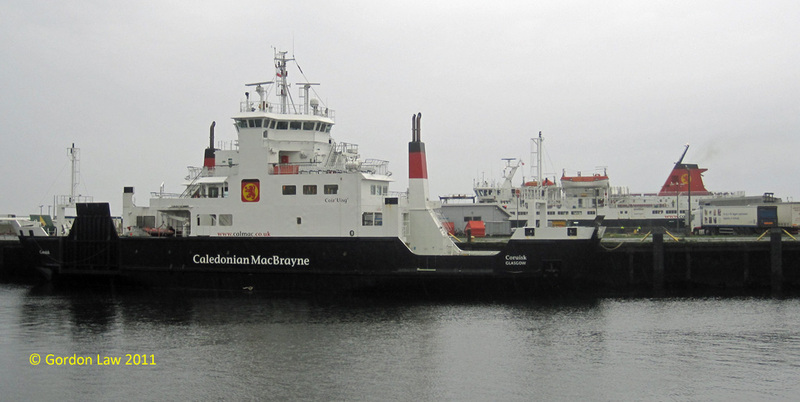 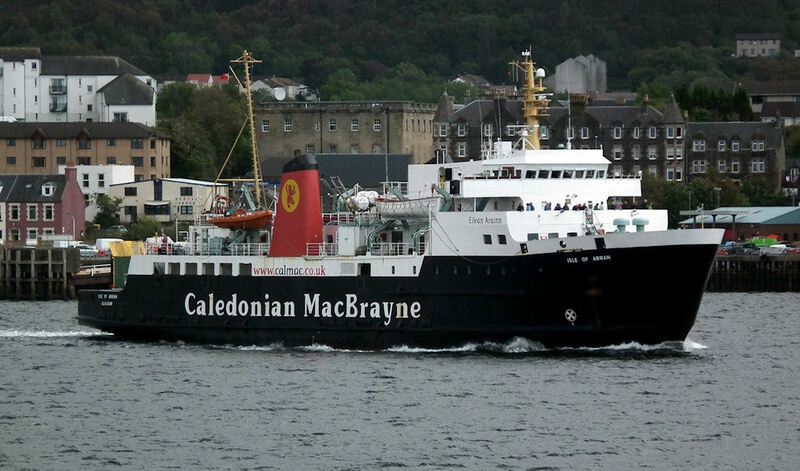 Caledonian Macbrayne's Isle of Mull on service 30 July 2011. 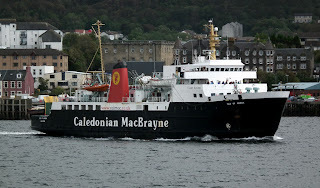 Lizzie May outbound 30 July 2011. 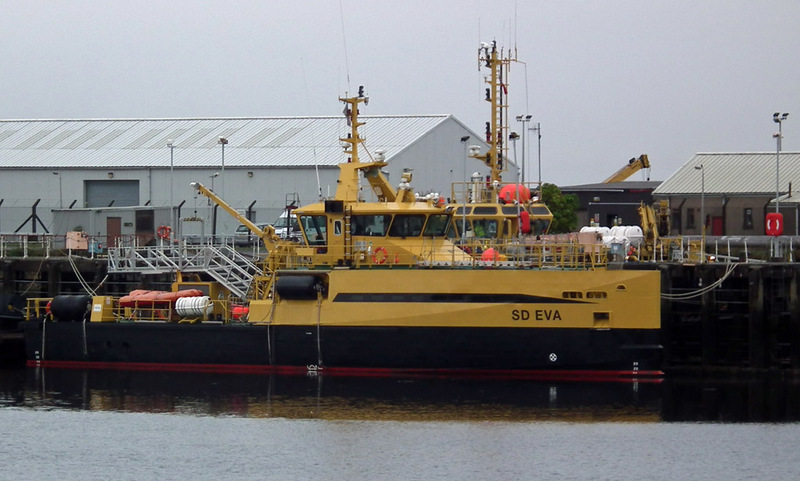 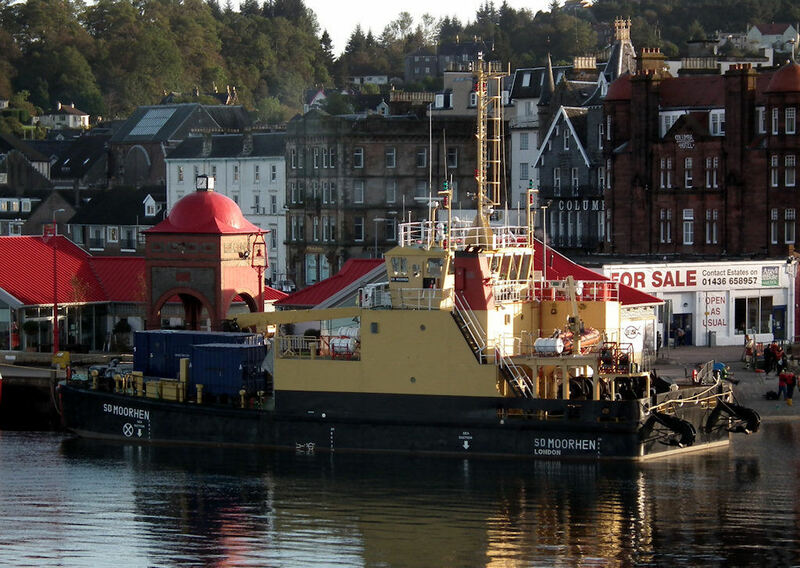 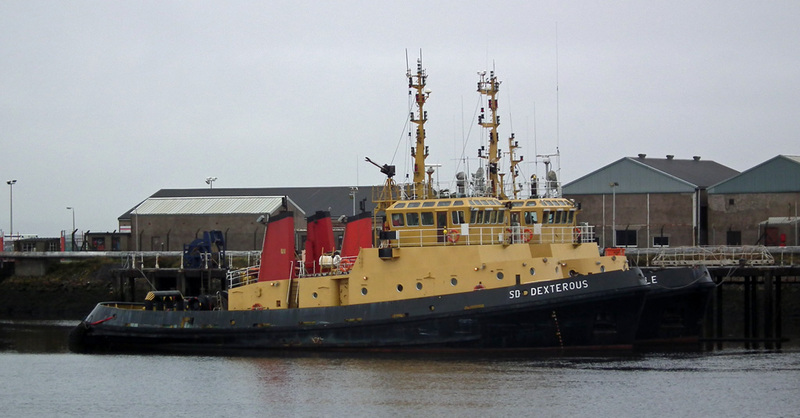 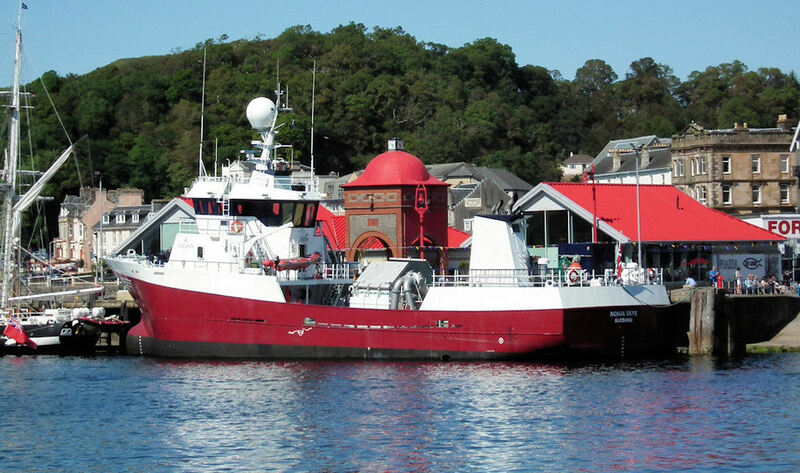 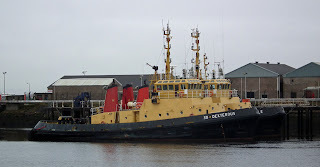 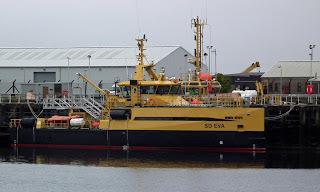 Ronja Skye lies at a sunny North Pier 30 July 2011.
Who needs a bow thruster? Simpler measures are used to berth Bessie Ellen at Oban's North Pier 30 July 2011. 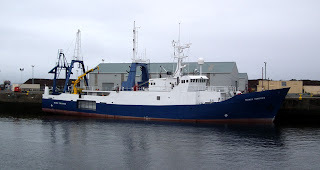 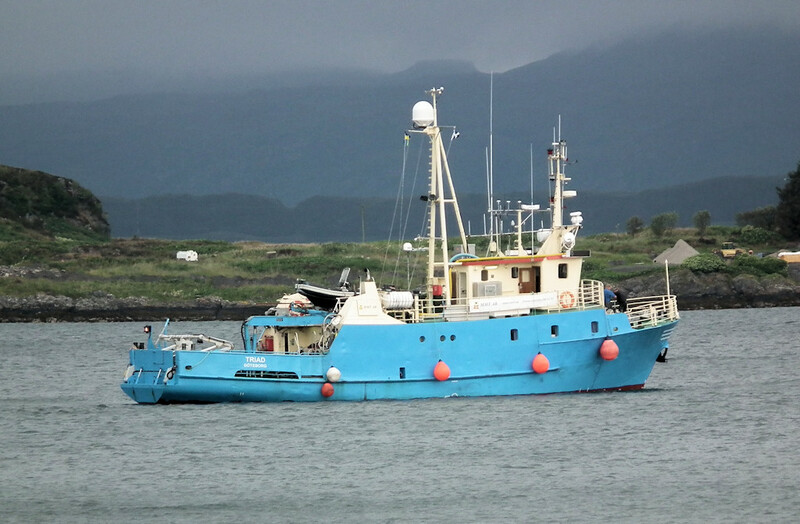 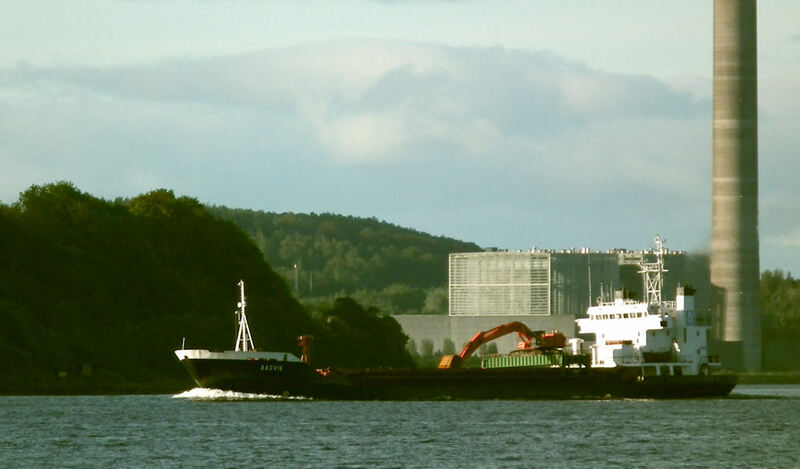 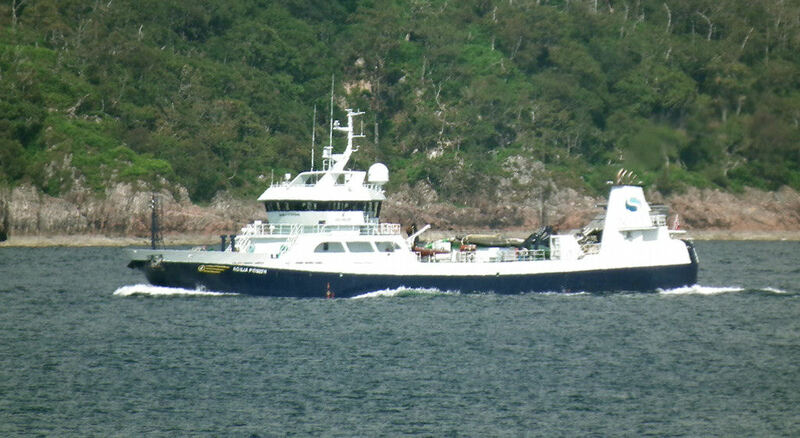 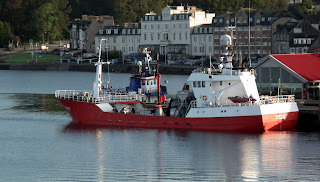 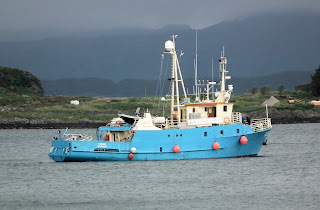 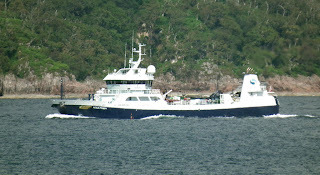 Live fish carrier Ronja Pioneer off Mull 30 July 2011. 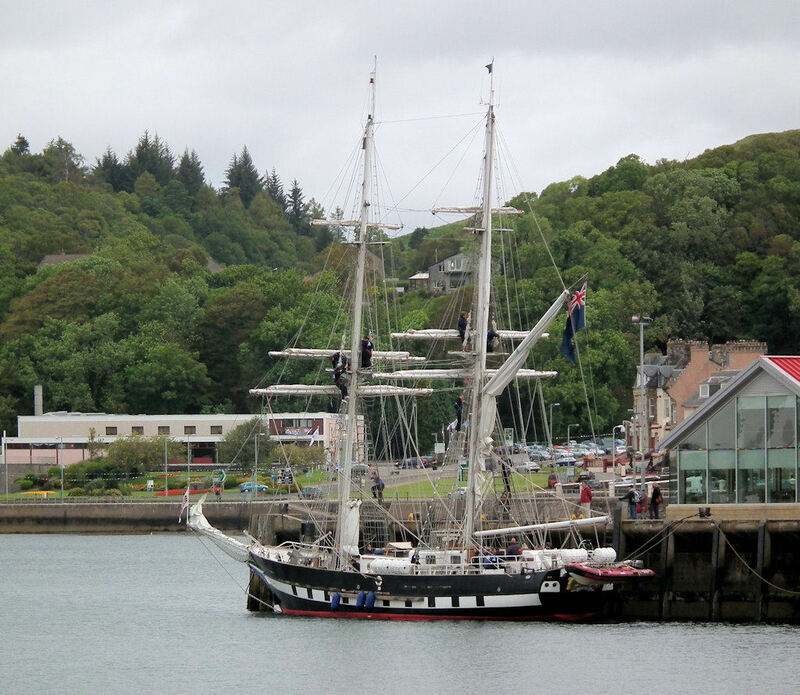 Cadets in the rigging! 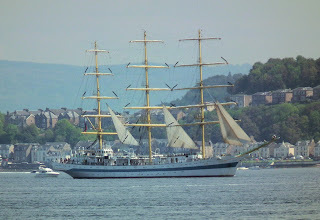 Sea cadets vessel T.S. 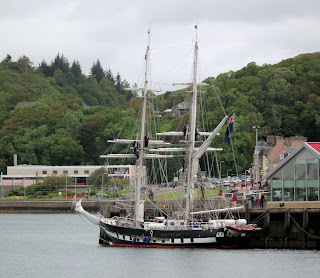 Royalist last seen in 2008, at Oban's North Pier 31 July 2011. 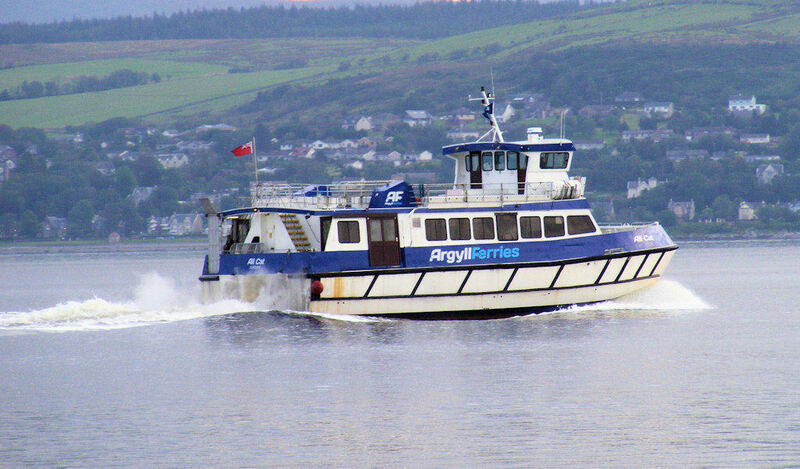 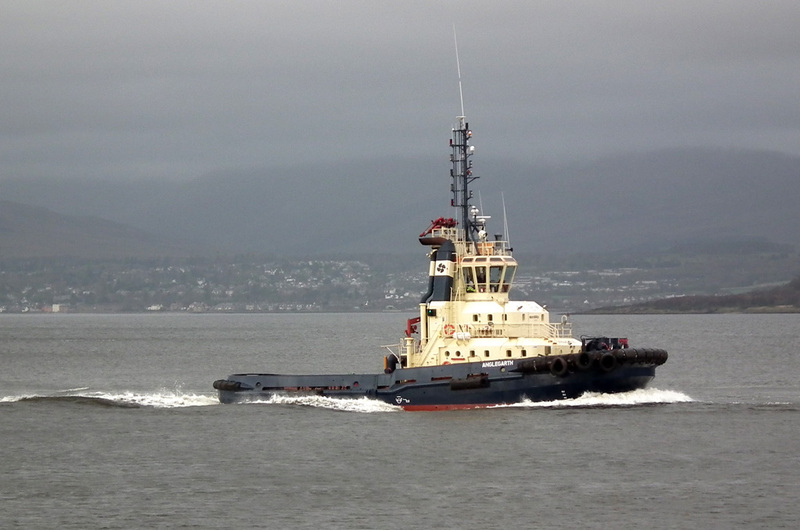 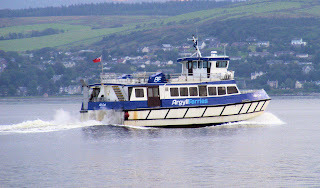 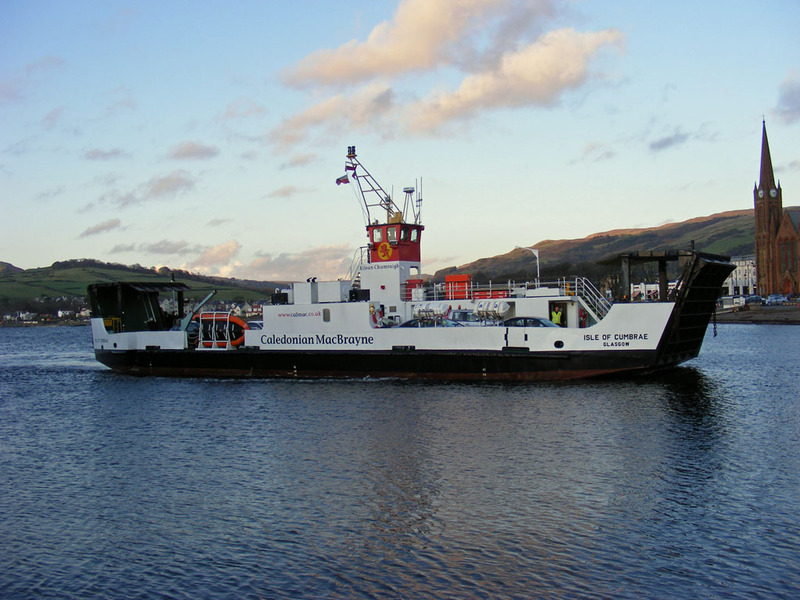 Argyll Ferries' Ali Cat on service 23 August 2011. Coaster Arklow Ranger at anchor while Ayton Cross awaits Merida Melissa 23 August 2011. 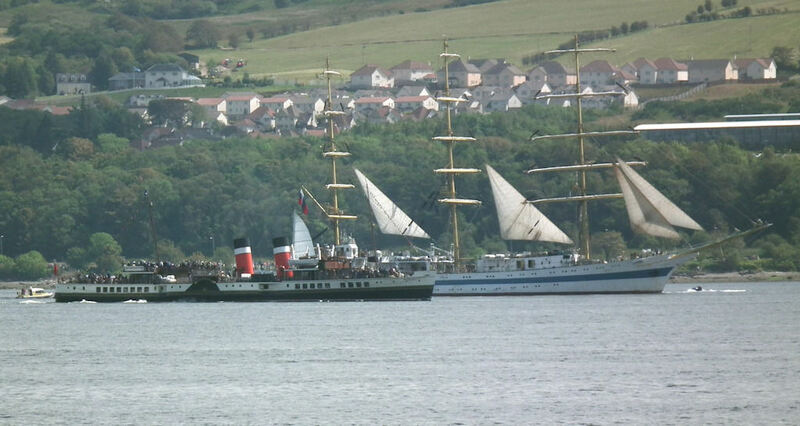 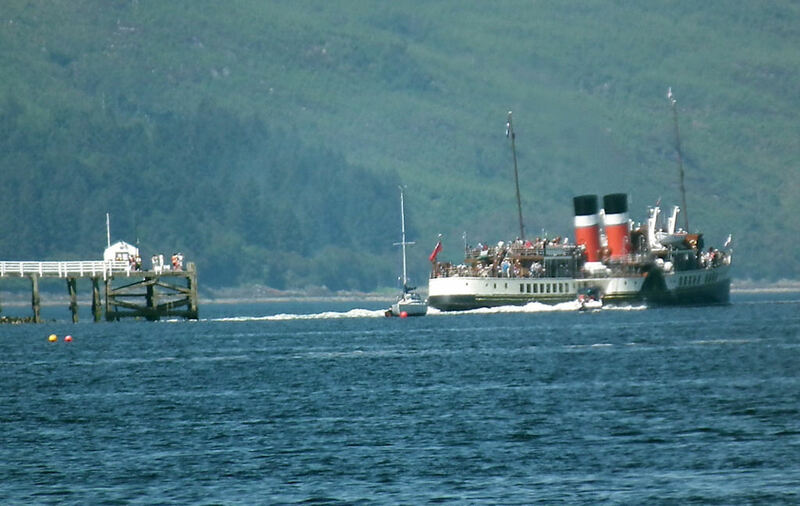 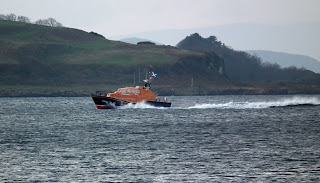 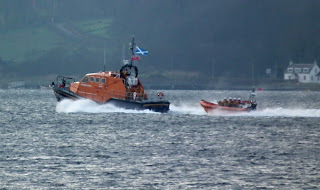 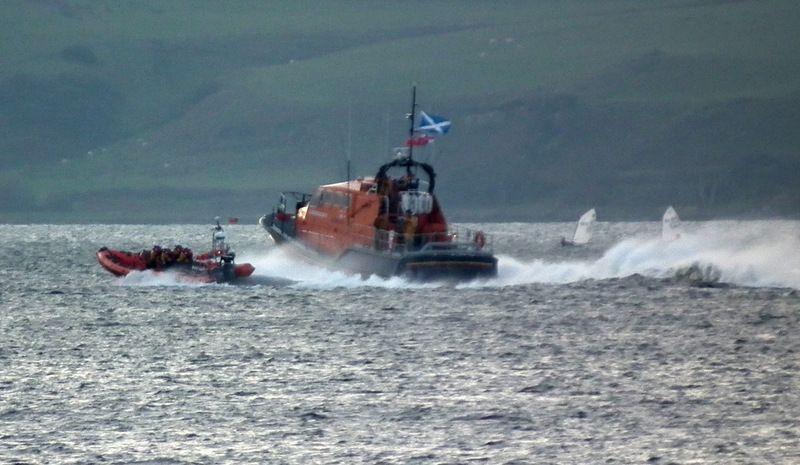 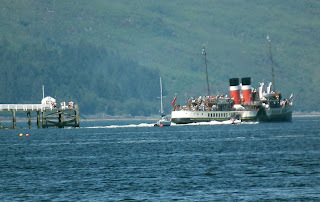 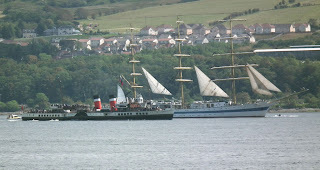 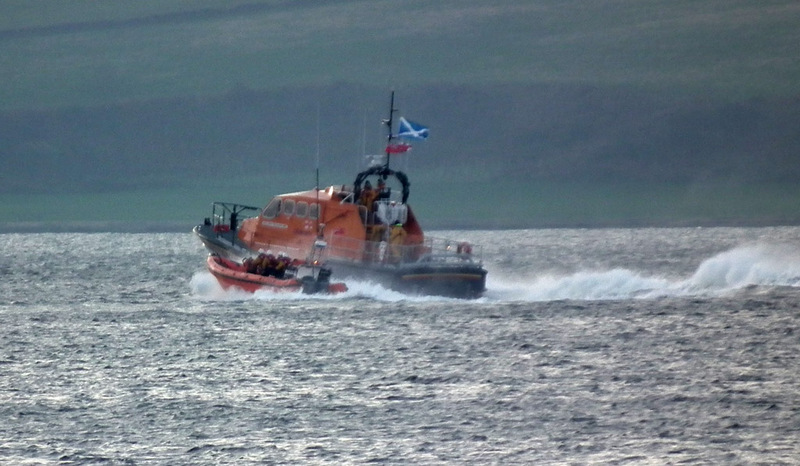 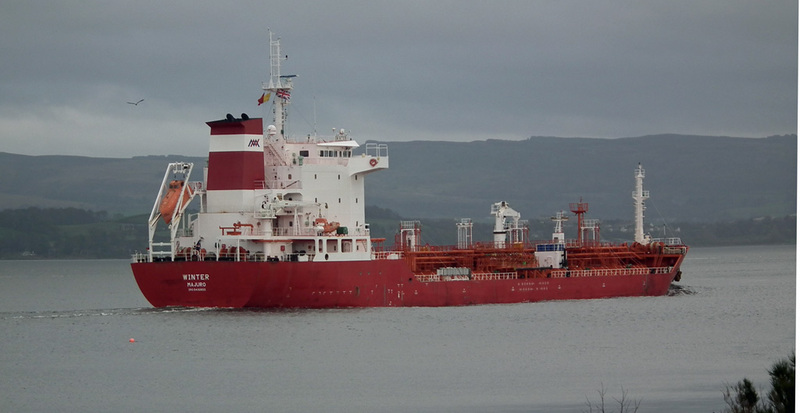 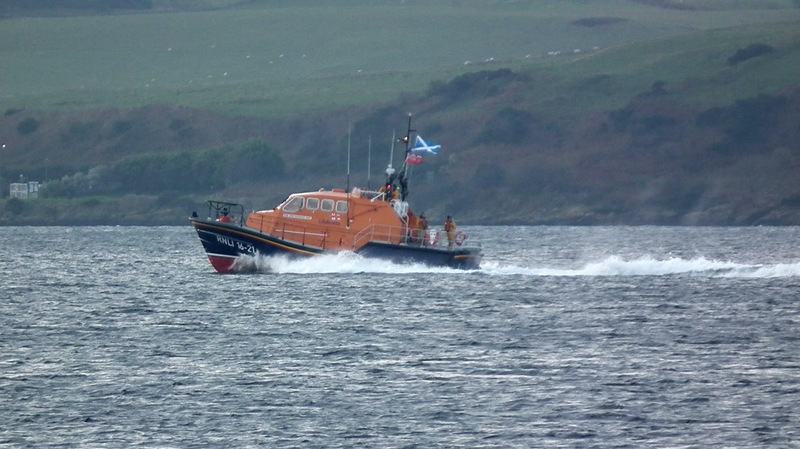 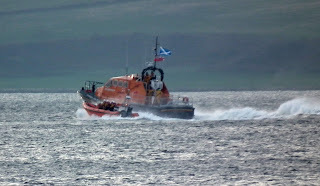 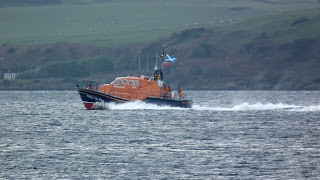 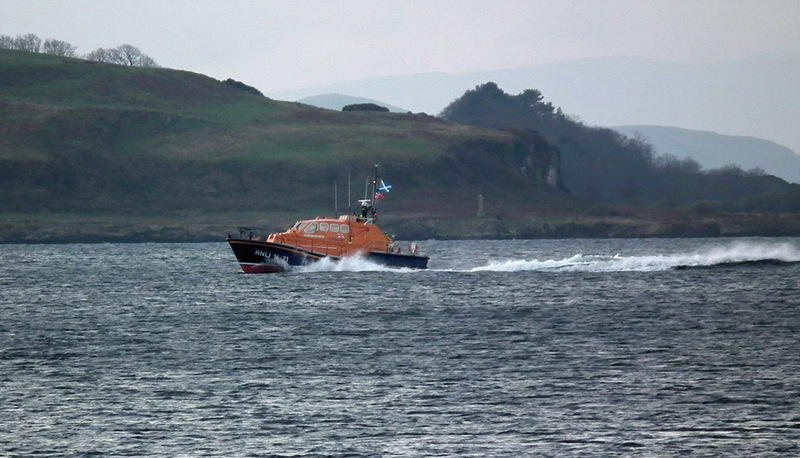 Waverley powers away from Blairmore Pier 26 July 2011. 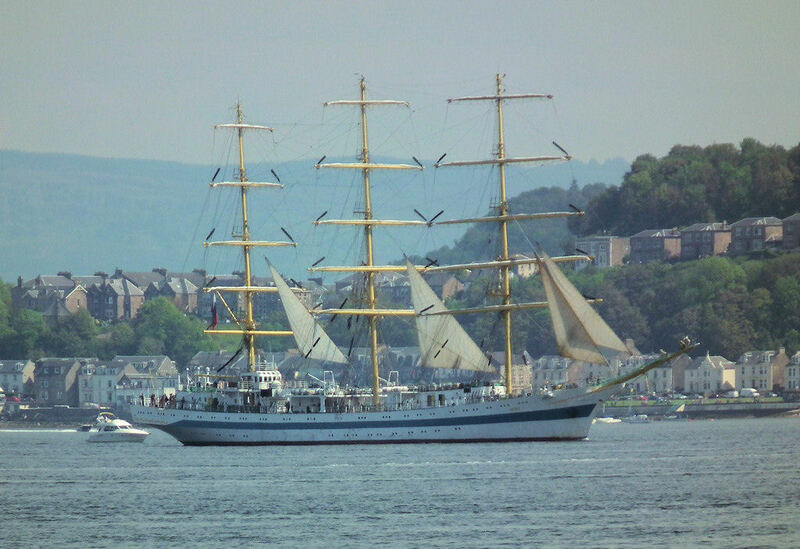 Tall ship Mir on the Clyde 12 July 2011.